The newly opened facility is based at Cleethorpes Train station and offers the same friendly professional services you have come to love from our Grimsby Base. Newly opened end of March we are still getting used to the new building, lovingly repaired to keep its heritage status. 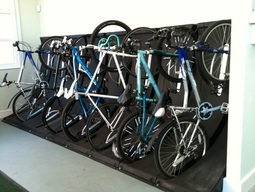 We currently have limited parking until end of April while we wait for some bespoke cycle racks to be delivered. All other services are unaffected. Safe and secure indoor parking for a maximum of just £1 for all day. All welcome, no membership. CCTV coverage and your bike is insured too! All levels of repair and servicing. High quality repairs and services by experienced mechanics for some of the best rates you'll find throughout NE Lincs! We employ Cytech certified technicians. 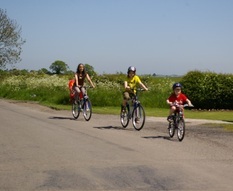 Take the whole family to explore beautiful Lincolnshire! Hourly, daily and weekly rates for our range of adults and children's bikes and accessories. We also have a number of tandems and specialist bikes. We're a not-for-profit Community Interest Company whose main interest is getting as many people choosing cycling as their first mode of transport as possible! It's important to us to keep the focus of our business on providing a benefit to the people who live and work in North East Lincolnshire. We aim to earn enough to be self-sustainable (receiving funding is great but relying on it isn't a reliable operational model in these uncertain times), then any profit we make over and above running costs gets put straight back into the community in the form of free events, giveaways, Dr Bike surgeries etc rather than being divided into the pockets of directors or shareholders. We're open to ideas and suggestions for new activities/offerings so feel free to give us your thoughts! Yes! We rely on volunteers to help us carry out our every day duties both in the office and in the workshop. We'd love to have more people on board.